Our packages feature a persuasive combination of statistics, charts, descriptions and analysis. Agents find them invaluable for NBA free agency and NBA Draft preparation. Call Steve Fall at 404-447-1861 to discuss your needs. When an All-Star point guard goes to the bench, there is usually a big drop-off in performance. That doesn’t happen in San Antonio, where Patty Mills excelled in a super sub role this season. 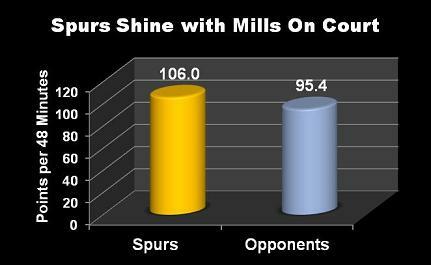 The Spurs performed much better when Mills entered the game. The Spurs out-scored opponents by 10.6 points per 48 minutes with Mills on the court during the regular season. The difference dropped to just 5.8 when he sat out. Since he played 1527 minutes – far more than most backups – his performance had a huge impact on team success. With Mills on the court, the Spurs became the best three-point shooting team in the league, making 10.9 three-pointers per 48 minutes. That was the highest rate for any player with at least 1000 minutes this season. Mills knocked down 135 of his own threes. And since he’s incredibly accurate on corner threes (46.9 percent), he spaces the floor for his sharp-shooting teammates. Considering how much he handles the ball, Mills commits few turnovers. He was one of four NBA players to score 20 points per 40 minutes and post a turnover ratio below 7.0. He joined Dirk Nowitzki, Al Jefferson and LaMarcus Aldridge, as no other perimeter player matched this feat. 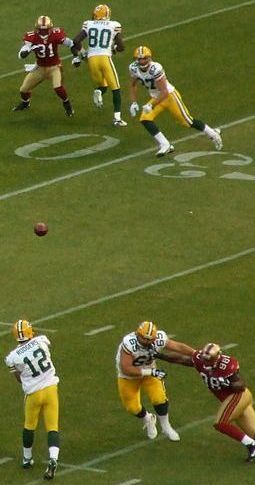 The Sports Resource has numerous methods and advanced metrics for quantifying a player’s impact on team performance. That gives agents greater leverage and leads to higher commissions. The team that signs potential free agent Luol Deng this offseason will receive a huge bonus. Deng boasts one of the NBA’s strongest all-around digital brands. 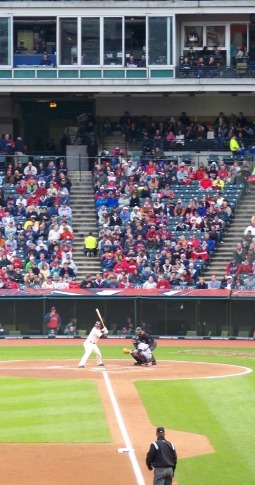 Clubs realize this not only impacts their online presence, but puts fans in the seats. Deng’s 82 Klout Score ranks among the league’s best. He has 347,000 Twitter followers, 107,000 on Instagram, and 543,000 Facebook likes. His official website comes up first in Google searches on his name, which happens with surprisingly few NBA players. And since an average of 60,500 people search for “Luol Deng” monthly, that top spot is valuable. Are you quantifying your clients’ online impact at contract time? Since teams generate revenue from this, players and their agents should benefit as well. The Sports Resource can provide powerful indisputable evidence of your clients’ digital value in our statistical packages, which impacts your bottom line. For agents yet to leverage web development and social media tools, we can develop and execute a winning digital strategy for your clients, agency, or both. There has never been a better time to start. No NBA team struggled to score inside more than the Chicago Bulls this season. They shot the league’s lowest field goal percentage in the paint (50.6), and ranked next to last in made field goals per game from this range (18.6). The return of Derrick Rose will certainly help in this area, but agents representing players who can get to the rim and finish, should keep the Bulls in mind. As part of our free agency packages, we can analyze team needs for your clients, and find the best fit based on each club’s personnel. Players will perform better when matched with the right club, which increases their future earning potential. Copyright © 2014 The Sports Resource. All Rights Reserved.